Enjoying a sunny November day on Islay out on Kilchoman beach this dog is having fun with its favourite toy. 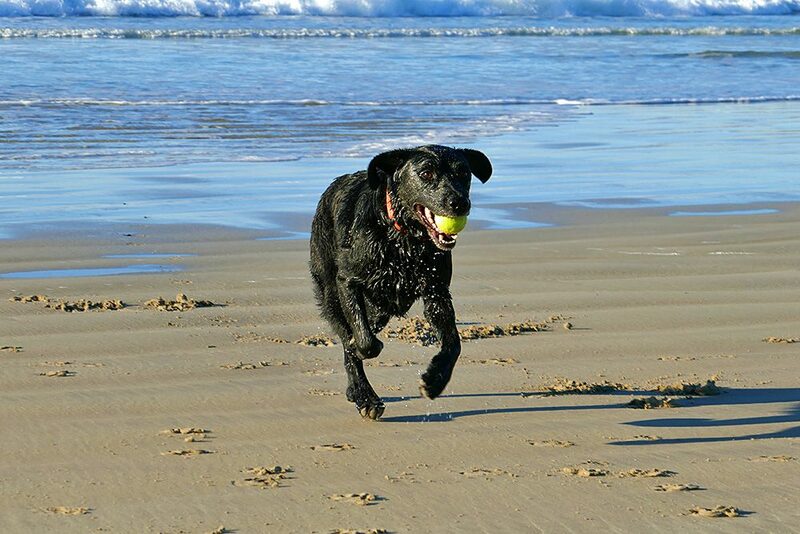 Its coming back from the water with the tennis ball thrown out for it. 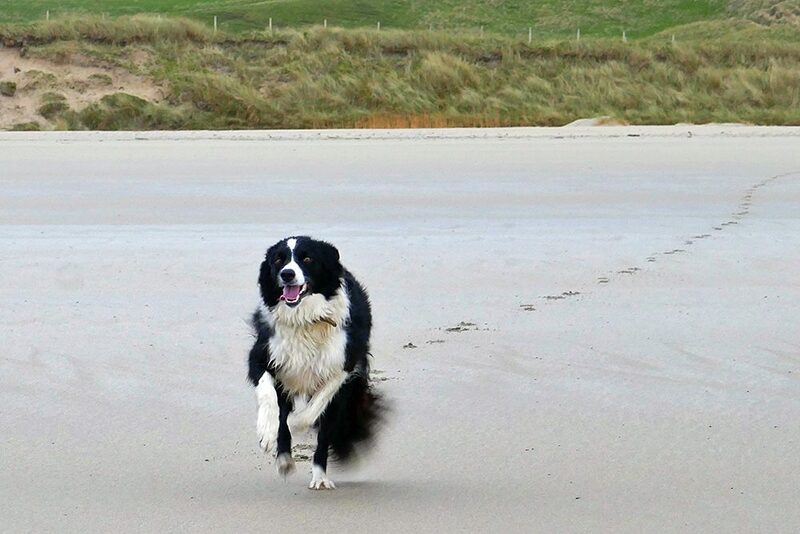 This Border Collie seemed to be quite keen to say hi to the stranger with the camera, when it spotted me it ran all the way from the dunes across the beach over to me. A quick hello and off it was again, back to its owner at the dunes. A calm June evening on the west coast of Islay. 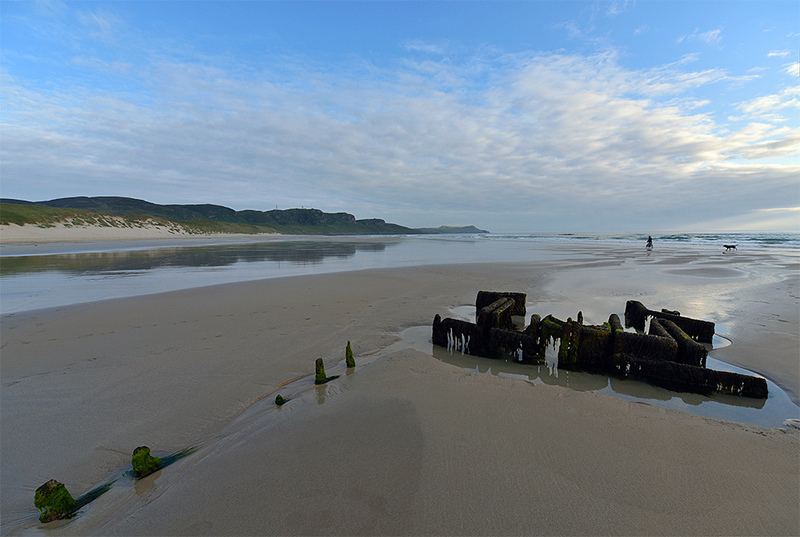 Low tide leaves the wreck of the Patti exposed. A dog enjoys its evening walk along the water. Clouds in the distance, but blue sky above us.